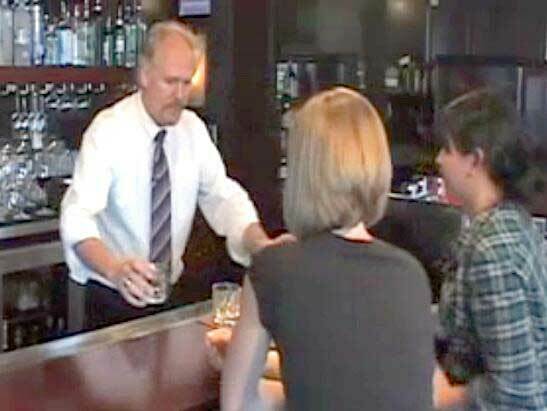 AACEA presented by Len Riggs Alcohol Server Training has been conducting Alcohol Server Training since 2001. The TEAM at AACEA have been trained in and are well versed in the laws of Alcohol service and sales. We have many years of experience in the Hospitality Industry, and the experience is evident when you take our course. For these reasons, we pride ourselves in providing the highest quality training for you and your staff in the Nation. "RAISING THE STANDARD OF EXCELLENCE IN TRAINING"
It is important to myself and all of my staff that we ensure all seminars offered are presented in a way that will make a difference. We desire to make a difference in today’s world by making our roads and communities safer by teaching how Alcohol Consumption can be acceptable without becoming a tragedy. I have spent many hours developing the Program that we teach to be the best offered in the Nation with one goal in mind. We do this by teaching all students who attend one of our seminars that they are the "first line of defense" in keeping drunk drivers off our roads. Remember, together we can make a difference by saving one life at a time from this senseless tragedy. Besides being in the hospitality industry for over 23 years, Len also spent 15 years as a professional stand-up comedian. He has toured from Anchorage Alaska to New York City and has had many appearances on National Television as well as satellite radio. He presents the Alcohol Server Training in a fun and entertaining way. As a result of Len’s many years of experience in the hospitality industry he understands the “waiting on tables” game, and knows exactly what you servers experience day to day. He has included everything he has learned and written his program with what he has learned in this business for the last 23 years. We consider our program one of the best in the nation and believe once you have attended one of our seminars or taken our online program you will agree!! !